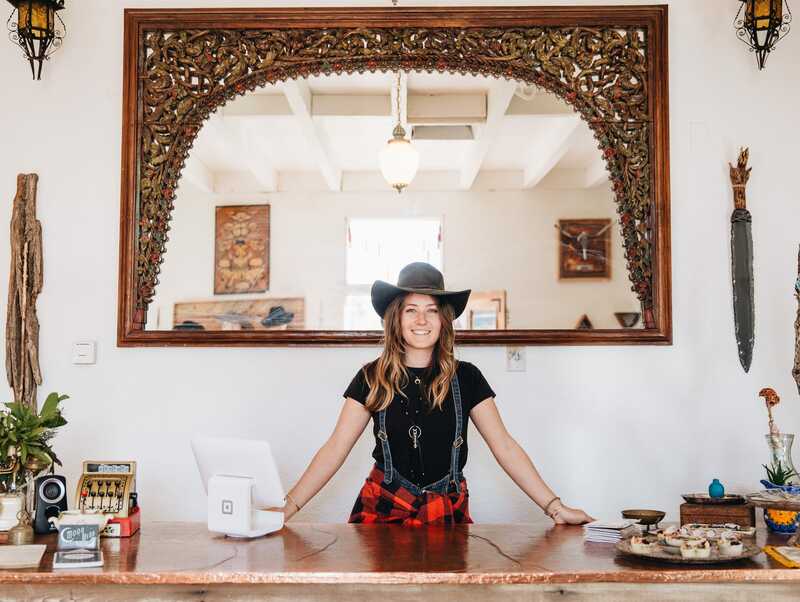 "Fashion designer Mieka May and her partner Prescott McCarthy were visiting a local permaculture garden when they stumbled across a vacant building just down the street from La Copine, "It was like we were being called to take this property and do our thing,” explains the soft-spoken yet infectiously determined May, who opened Moon Wind Trading Co. in the space in April 2017. Now, the trading post hums with local artists and makers, a collection of antique wood shelves and tables displaying their wares. May’s own clothing designs, made out of all-natural and repurposed materials, hang on racks above worn kilim rugs. A tumbleweed chandelier glows in one corner.